Leeker's Family Foods opened in Valley Center in 1968. It has been at its current location on South Meridian since 2000. 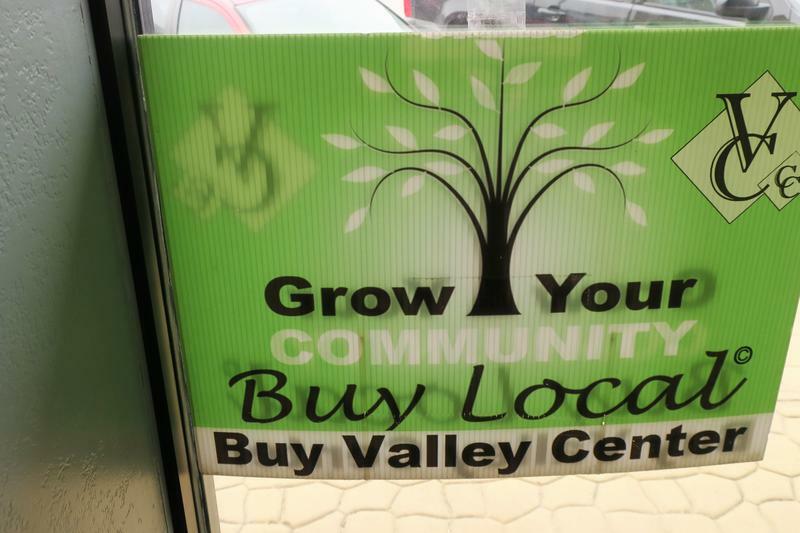 Signs to support local businesses are spread throughout downtown Valley Center. Valley Center was founded in 1885, and was orginally an oil town. 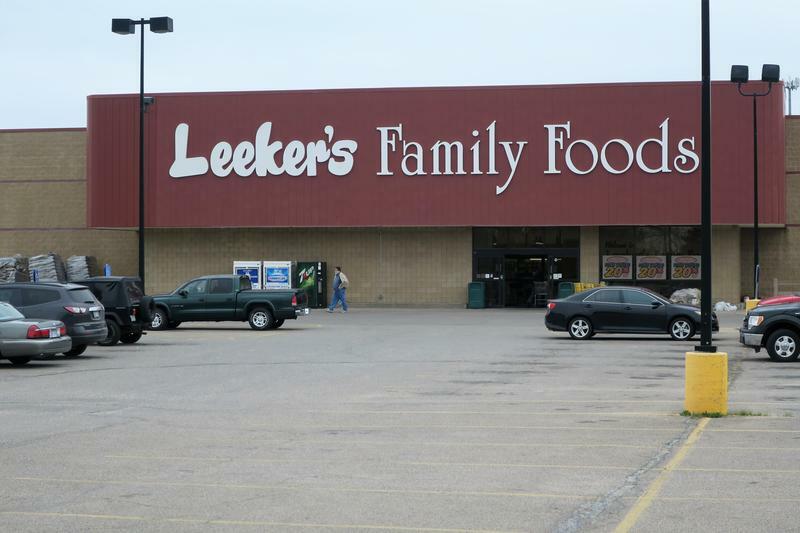 Valley Center’s only independent grocery store, Leeker’s Family Foods, closed this weekend. The store was not only a place to buy food, but it also served as a community hub for the past 50 years. Owner Chris Steindler posted an announcement on social media about six weeks ago that he was closing his store on South Meridian. Steindler didn’t want to be interviewed, saying emotions were running too high. He said in the statement that he tried to renegotiate his lease for years, but the landlord refused to make any changes. BPT Investors of Kansas City owns the building. Leeker’s opened in Valley Center on East Main Street in 1968, and moved to the 36,000-square-foot store on South Meridian in 2000. Steindler’s current lease runs through 2020. “The retail makeup of the community was vastly different than it is today," he said in the statement. "What made sense then does not make sense now…We cannot continue any longer with this lease." A sale at the store to reduce the inventory began on April 2. Whatever is left, Steindler said, would be moved to another Leeker's store in Park City. Valley Center Mayor Laurie Dove says news of the closing spread quickly. “It was a shock," she says. "It was a really disappointing thing to hear. We have so many things we’re making progress on here." About three blocks of Main Street are considered the downtown hub of Valley Center. 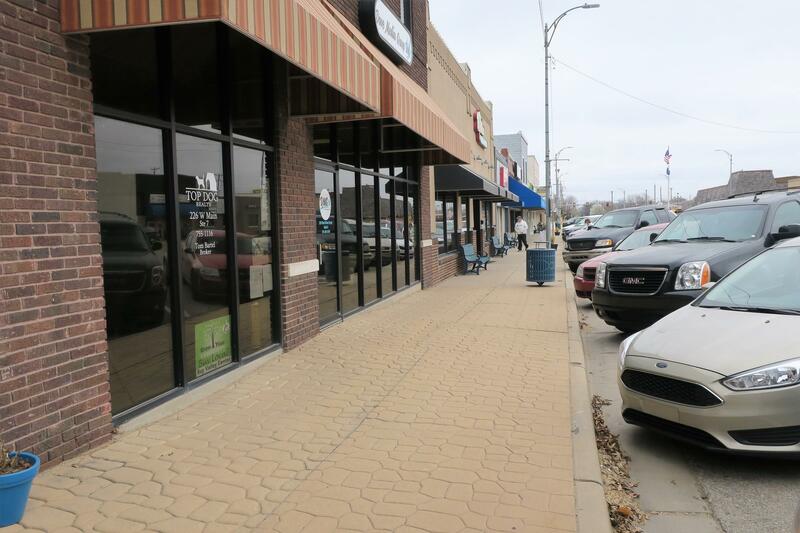 Valley Center has a historic downtown with retail shops, a restaurant and businesses. Some shops have been there for decades. The city also has its own post office and community newspaper. Dove says unlike other small cities in Sedgwick County, Valley Center is a distinct community, not a Wichita suburb. Having a locally-owned independent grocery for several generations was also a hallmark of the city. Leeker’s was the place where kids got their first jobs. You knew the managers and owners because they would greet you in the store. Checkout lines made catching up with neighbors easy. Regular customers like Amanda Park would stop by Leeker’s several times a week. “The employees that are there, there’s always a smile," Park says. "They greet you when you when you walk in, and they talk to you about your life or what’s going on in the community when you are checking out, so that part of the community is going to be missing." Leeker’s was not only ingrained in the community, it’s also part of family traditions and memories. Mayor Dove remembers making the weekly trip to Leeker’s as a kid with her grandparents, who had a farm outside of Valley Center. 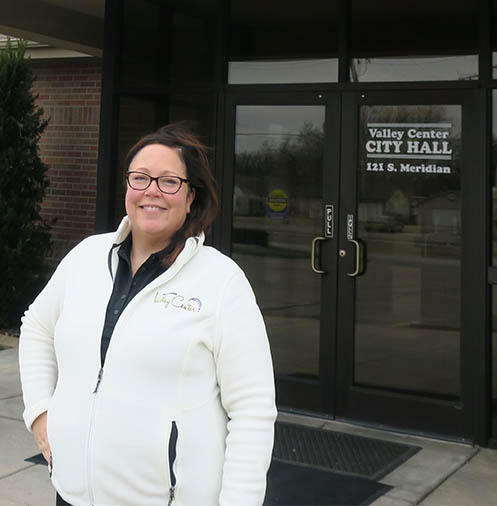 Mayor Laurie Dove was elected in 2015 after serving two years on City Council. “They would always buy me a comic book and it was a lovely time. Everyone knew who they were. The grandfather who founded Leeker’s would often be there and visit with them," she says. "And it was a really special experience for me as a kid and I am not alone in that." Dove is trying to recruit a grocery store or pharmacy to come to Valley Center. She selected 10 people from different sectors in the community to serve on a task force to lead the process. The first priority, she says, is finding out what the community is willing to support. “Those are hard questions to ask but we really need to look at what kind of model will we support and what kind of options are we not currently considering that maybe we should,” Dove says. David Procter, director of the Center for Engagement and Community Development at Kansas State University, agrees that a community-wide discussion and exploration of options is the first step toward deciding what is next for grocery availability in Valley Center. He tracks store closings in Kansas as part of the Rural Grocery Initiative. In the last ten years, 45 independently owned groceries in towns of 2,500 people or less across the state have closed. The two biggest reasons are a change in ownership and increasing competition. "They're gathering places for the community." Valley Center, with a population of about 7,500, has convenience stores with a limited selection of fresh food and a Wal-Mart within a few miles of the Leeker’s location. The Park City Leeker’s, about four miles away, remains open and is another shopping option. Steindler said he is negotiating with Valley Drug, the independent pharmacy located inside Leeker’s, to merge with the Park City store to provide customers access to their prescriptions. Procter says losing the convenience of the hometown grocery can create a challenge for some longtime customers. “The people that are most impacted tend to be elderly residents that don’t have great mobility in terms of being able to drive cars and things like that, and also folks that have limited resources and may not have reliable transportation,” Procter says. If Valley Center cannot find an operator who is willing to re-open a full-service store, one option to consider might be a community-owned store. Procter says different models of this kind of grocery are taking off. “We’re seeing an increase in cooperatives springing up in small towns. We’re seeing an increase in community-owned stores where the local city government is partnering with an entrepreneur to jointly own grocery stores,” Procter says. Mayor Dove knows history and loyalty are on Valley Center’s side when it comes to recruiting a new business. After all, Leeker’s had a 50-year lifespan in the community, despite growing competition. “We’re a community that likes to get things done," Dove says. "So I would hope that after exploring all the options, we’re able to solve this fairly quickly." Follow Deborah Shaar on Twitter @deborahshaar. 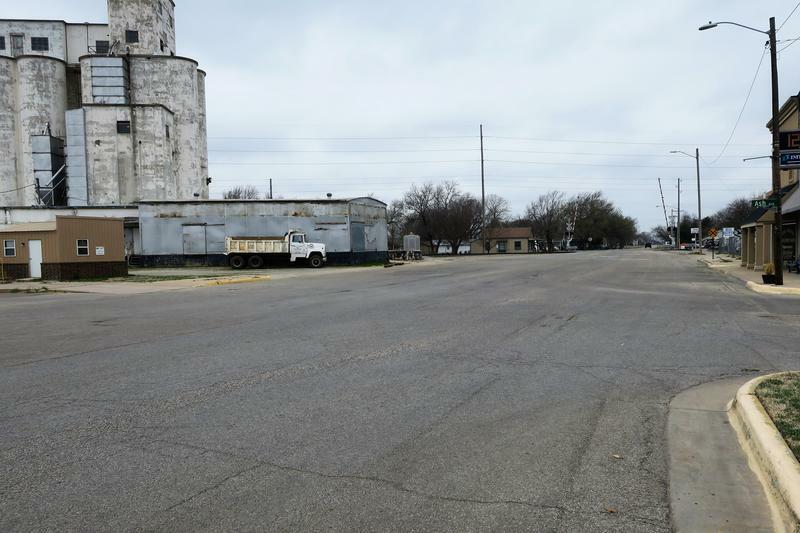 A small Kansas town's effort to replace its lone grocery store is getting a big boost from the federal government. A $780,000 Community Economic Development Grant will pay about a quarter of the cost of bringing a new grocery store, pharmacy and gas station to St. John, a town of about 1,300 people in Stafford County. 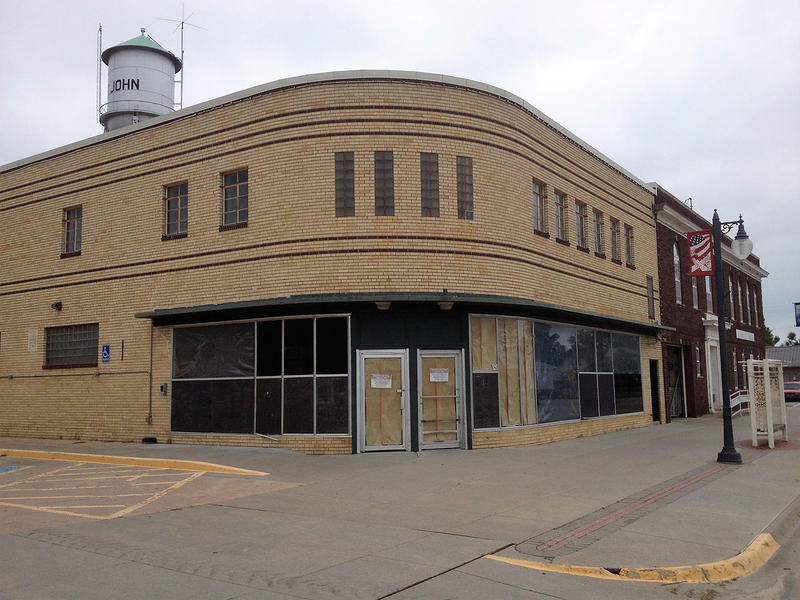 The Hutchinson News reports the award makes officials hopeful they could break ground on the $3 million project this year. 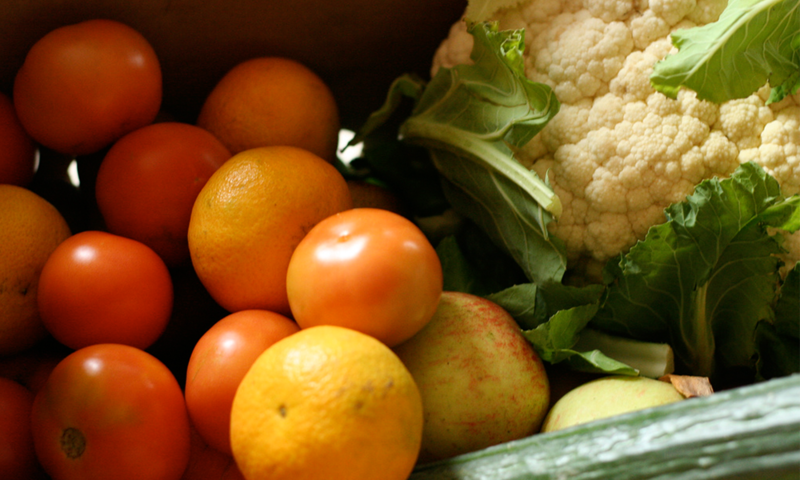 Eight rural communities across Kansas will share $120,000 in grants over the next year to find ways to improve access to fresh produce. Many rural grocery stores have closed, or are struggling to survive. In St. John, Kansas, the only grocery in town closed last year. Now the nearest full-service food store is 29 miles away. The Sunflower Foundation is issuing the grants to St. John and other communities to help them figure out how to foster local access to fresh food. A brick building that was the only grocery store in St. John sits vacant, its glass doors covered with paper since it closed early last year. St. John is the county seat of Stafford County in south-central Kansas — but it’s home to fewer than 1,300 people. Now, the closest grocery store is 12 miles away, in Stafford. St. John resident Amy Collins said that means meals and shopping require more effort. “Now when we make a trip to the grocery store we are planning four, five … six days out in advance, so you have to be much more efficient,” she said.